When people ask me where to begin with wearing vintage, I always tell them to research everything! Read, watch movies, look at magazines and blogs. Just devour as much information on the topic as you can. From there, you can see what they really wore back then and how you can develop your own personal style with inspirations from that era. One of the internet's best sources for vintage fashion research all in one place is Vintage Dancer. This blog, written by a fellow vintage loving mom, really breaks it all down for newbies and long-time vintage enthusiasts. the look isn't complete without the shoes. This 1940s shoe guide covers styles popular back then so you know what to look for when you shop for shoes. 3. 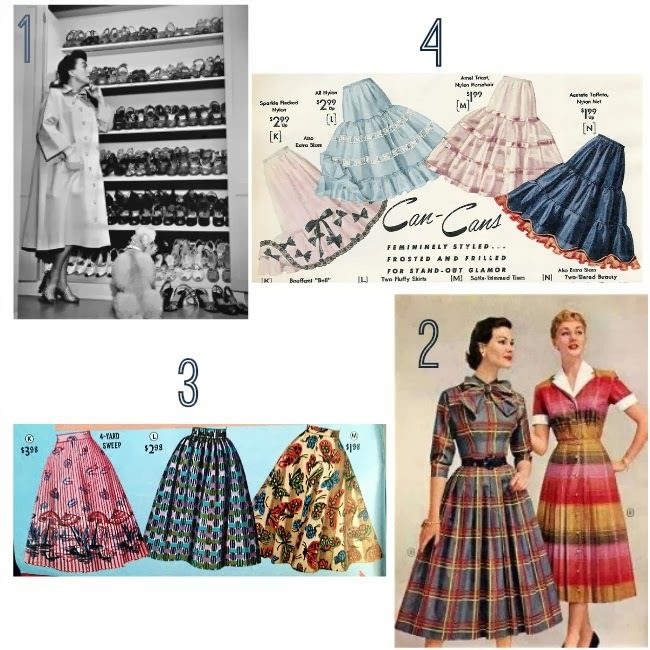 1950s skirt history one of the main highlights of 1950s fashion was the voluminous skirt. After the war, women had more money for fabric in home sewing and fabric use restrictions were lifted. 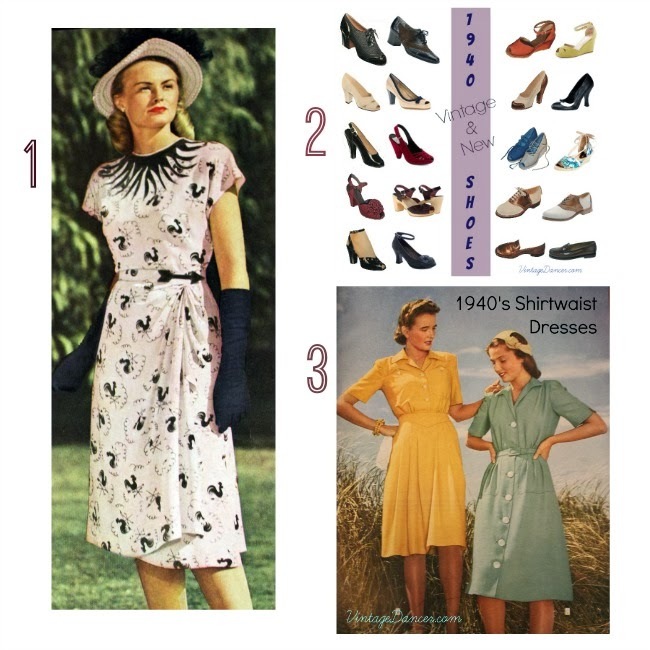 Learn about all of the popular skirt styles of the 1950s. 4.1950s petticoat history once you find the perfect 1950s skirt, you may need a petticoat to get the 1950s silhouette. This article covers petticoats, hoops and memories from women that wore petticoats in the 50s. I LOVE Vintage Dancer! I'm constantly referring people there, when they're looking for wardrobe staples, as you say. I think Debbie's site helps to "train the eye" to spot vintage-style clothing in stores, like the '50s style cardigan and '30s style crepe blouse I saw at Target today. That's a nice article Brittany!